Canadian tech jobs posted on hiring platform Indeed.ca are receiving more interest from abroad, according to an economist employed by the website. Foreign clicks on Canadian tech job postings rose to 15 per cent of the total clicks received, up from nine per cent in early 2015, writes Brendon Bernard, an economist at Indeed Canada. 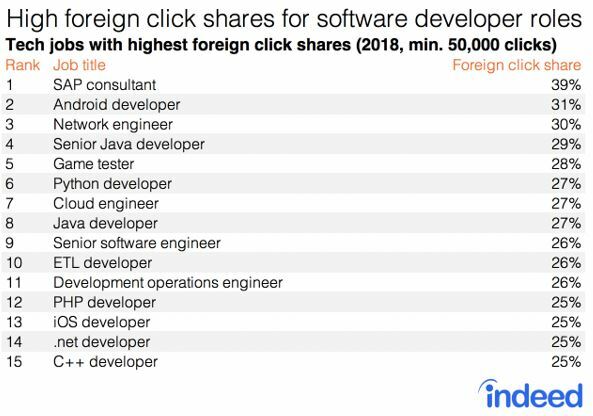 Interest from abroad is concentrated on more specialized positions, with software and engineer roles seeing 25 per cent of their clicks from foreign locations. The data comes at a time when many in Canada are wondering how the country will fill the IT talent shortage in the years ahead. In the federal budget introduced in Parliament last month, the Liberals committed to making the Global Talent Stream program permanent with additional funding. That program seeks to get highly-skilled workers a visa to work in Canada within 10 business days. While the U.S. is tightening rules around its H-1B visa, a program popular among tech companies recruiting foreign talent, Canada may be receiving more interest from prospective immigrants. According to Indeed’s data, a brief spike in interest from U.S. job seekers following the 2016 U.S. election has settled down at around four per cent. It’s job seekers from India that are on the rise, matching the level of interest seen from those in the U.S.
Bernard writes that foreign job seekers are more interested in positions that require specialized training and have higher pay. 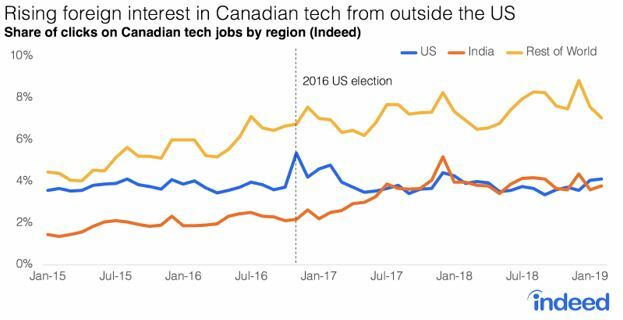 These are positions that are more difficult to hire for within Canada, and that’s reflected in Indeed’s data showing that job postings that get fewer overall clicks are the ones of interest to foreign applicants. Where there is already high interest in job postings from Canadians, there are fewer clicks from foreign job seekers. Indeed tracks foreign interest in Canadian jobs by using IP addresses to differentiate clicks. 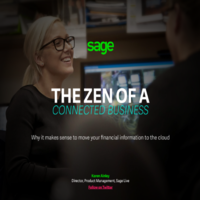 It examines tech job titles falling within the 560 roles that have significant responsibilities related to IT. All data in this analysis was from 2018, and among postings of tech job titles that received at least 50,000 clicks within the year.